PROPERTY prices are still falling in Andalucia, despite bottoming out in some areas of the country. The average value of resale property stood at €1745 per square meter in November, down 7.5% year on year, according to Idealista. This represents a monthly decline of 1.3% from October. Decreases were noted across all regions, the lowest falls being in Madrid. Property values fell just 0.3% in the capital. Galicia and Aragon also reported minor falls of 0.4%. Conversely, La Rioja prices tumbled 5.2%, while valuations in both Navarra and Andalusia were down 2.2%. However, experts say the market is not too far from bottoming out and those thinking of investing in Spanish property do need to be quick. Improving economics in the country – which is now officially out of recession – and an improvement in conditions in traditional investor countries, mean the real estate market could soon enjoy an upswing. Who wrote this – an estate agent. Those experts wouldn’t be estate agents by any chance? Experts say? There is no PhD in predicting the Spanish property market, it’s a soft science at best and guesswork in the most part, following indicators which any old Hector can do themselves. Sorry ‘Experts’, your time is up. ” EXPERT “? “Ex” means your past it and a “spert” a drip under pressure.!! I suspect it will take till 2015 before it bottoms out. But who really knows? Not so called experts. Buy a nice little place in the Cotswalds and save yourself all the hassle lol. The market is not far from bottoming out? So called experts have been saying that since 2008. I think I’ll trust my own intuition on this one. Prices will continue heading south for the foreseeable future. Until the Junta de Andalucia stop revoking rural building licences and demolishing people’s houses, prices will continue to plummet. They reversed another 16 building licences (with demolition to follow) in Alcaucin on Tuesday evening and some of these people have lived in their houses for over 10 years. I know some of the people affected and they all instructed reputable, English speaking, Spanish lawyers who carried out all the necessary checks when they purchased their properties but they still got shafted. The Junta sat back and watched all these houses being built for years and did nothing about it. They are clearly incapable of creating and enforcing workable laws. All this stuff is all over the UK press and time and time again people write “don’t buy property in Spain” in the comment sections. Even if someone is interested in buying a coastal apartment, why would they have any confidence in the Spanish legal system? There was a conference in Malaga last week which was aimed at drumming up more residentual tourism and they mentioned that Portugal is their main rival. Hardly surprising because they don’t revoke thousands of building licences and they offer tax incentives to buyers. Spain needs to act urgently before the property market goes into further meltdown. If they do something immediately, they might just be able to rescue the situation. I would recommend (1) call an immediate election and (hopefully) get rid of the current Junta de Andalucia who are a complete basket case – PP promised to legalise the so called “illegal” country properties and stop demolishing them but did not win quite enough votes to govern at the last regional election (2) offer tax incentives for purchasing property in Spain and exempt foreigners from the asset declaration tax (3) have a relaunch/rebranding exercise for the residentual tourism industry and give people the assurances and confidence to buy in Spain again. Spain’s image abroad is terrible and they need to start putting out some positive mood music like yesterday. If you think Spain’s property market is bad, check out Cyprus. It is carnage.Bent solicitors, bent developers, bent officials and no Title Deeds for up to 20 years and then you have to pay up to £20,000 for the privilege. Prices still dropping like a stone, but still very expensive. Check it out. in Europe, no hassle, with no prospect of getting demolished. Property prices on the Costa del Sol will continue to fall by an average of 4% pa for at least another 5 years. When consumer confidence is restored and banks reinvigorate mortgage products, the property market on the coast will (eventually) bounce back. 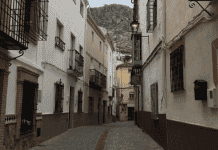 I’d like to buy in S Spain…. However, the bad press re. demolition etc has and will have major impact on when and where I’d buy. Do the authorities not realise the damage this bad PR does.?? On the up ?? Rubbish. More like further major corrections required and sorting out ” The Authorities ” before anyone should purchase. I’m sorry for the many lovely Spanish people. David, Spain is not interested in your purchase, nor are they worried about negative press. If they were worried, they would properly compensate people and they would properly address the isssue of these illegal builds, once and for all. Spain just wants the rich Russians and Chinese now.